This year’s Early Action applicant pool fell slightly (-7%) from last year; we see this as a larger reflection on the pressure many applicants are feeling to commit to an Early Decision school, as opposed to a reflection on interest in Georgetown. On the other hand, the maintained strength that we saw in our Early Action pool serves as testament to the strength of the Georgetown brand. Looking ahead, our Regular Decision pool appears to be tracking higher than previous cycles, so we anticipate an increase in total applications come January. The Early Action pool continued to reflect Georgetown’s commitment to enrolling a diverse class. This year’s pool was 11% Black/African-American, 13% Hispanic/Latino, 16% Asian-American, 8% International, and 1% Native American. The academic quality of the pool was as strong as ever, making admissions committee decisions immensely difficult. We admitted 12% (919) of the 7,802 applicants. Students were admitted from 49 of the 50 states, the District of Columbia, Puerto Rico, the U.S. Virgin Islands, and 41 foreign countries. Admitted students were, on average, in the top 5% of their class. The SAT Verbal middle-50% range for admitted students was 720-760, and the SAT Math middle-50% range was 740-790. The ACT continues to be popular, with almost half of our applicant pool taking the ACT. The ACT middle-50% range for admitted students was 33-35. In the charts below, you will find additional statistics for this year’s Early Action pool, as well as Early Action application numbers by undergraduate program. For the first time in its nearly 400-year history, Harvard has admitted a majority nonwhite class, The Boston Globe reported. Of the entering freshman class, 50.8% are from minority groups, an increase from the 47.3% figure last year, The Globe reported. The news comes just as the Department of Justice indicated it planned to review a complaint of discrimination at Harvard University related to its admissions process. An anti-affirmative action group called Students for Fair Admissions filed a lawsuit against Harvard in 2015, alleging that the college and other Ivy League institutions use racial quotas to admit students to the detriment of more qualified Asian-American applicants. The group includes a coalition of more than 60 Asian-American groups. Can Senioritis or Senior Slump be Fatal? Can senioritis or senior slump be fatal? The answer is YES, at least with regard to college admission decisions. This phenomenon is not unique to Harvard. Colleges reserve the right to withdraw offers of admission for a significant dip in grades or a lapse in decent behavior. A student’s college acceptance isn’t a ticket to check out of the last few weeks of high school. Students need to consider whether their actions after an acceptance are worth the price they may pay for them. Posting negative comments on the internet, especially ones that condone or promote violence against others. Getting arrested, suspended or expelled. Your guidance department may be obligated to notify the colleges where you were accepted or wait listed what has occurred since the midyear report. Slacking off the academics. While it can be tempting to stop caring about schoolwork and start focusing more on fun activities, letting final grades slide can have profound consequences. Colleges expect students to continue with their current course schedule maintaining the level of academic and personal success demonstrated on their application, so a significant drop in grades, typically a drop of a full letter grade, can find a student being unaccepted or placed on academic probation for a semester or year in college. Note: Performing well on AP exams may mean that a student can graduate college early, saving thousands of after-tax dollars and enter the workforce earlier. This will increase lifetime earnings significantly. Not doing well on AP exams takes away this opportunity. Nosy Questions: How to Avoid Them. The college search and application process begs unavoidable questions – questions from nosy friends, gloating frenemies, adults, even from annoying relatives. What did you get on the PSAT test? What did you get on the SAT/ACT/AP/Subject test? Where are you going to college? OMG, you want to know what? You don’t have to answer; you don’t have to discuss it with anyone but your parents. It’s your business. There’s no up side to answering. It draws stress, anxiety and unhelpful comparisons. There’s more to a college choice than grades and test scores. The answers to these questions are incomplete glimpses and do not reflect the whole picture. Most rankings are little or no value in understanding how a college will meet your needs. The right fit is what you seek, and the important thing is selecting colleges that will give you the opportunity to succeed. If you do engage in a conversation, don’t always believe what others tell you; not everyone will tell the truth. Ultimately, once you get to college, no one cares about SAT, ACT, or high school GPA anymore. ‘I have a list of schools that I love. I’ll let you know when I decide where I want to go. These are just the first in many nosy life questions – What are you majoring in? What are doing after you graduate? When are you getting married? Being prepared with answers that redirect the conversation helps relieve the stress of the uncertainty these questions bring up. Donations in the College Admission Process or Can I Buy My Way In? Many parents love their alma mater and choose to show their appreciation through gifts to a college or university. In doing so, many donors hope, perhaps even expect, some sort of advantage when their child applies for admission to this college. Money does play a roll in admissions. College is a business. Legacy status rarely trumps all in the admission process. Yes, if a student has an alumni parent, this may help an application, but rarely does the legacy status outweigh strength of curricula and grades. In sum, the applicant must still present a competitive record for the college in question. Moreover, “legacy” is defined differently by each college (parent, step-parent, grandparent, sibling, etc). If parents are in a position to donate to a college or university, they should do so with direction and purpose. In other words, donate to a certain academic department, athletics team, scholarship fund, etc. This will show a college that the family is committed to the success of one of its beloved programs or teams. It also creates a measure of impact the family has made on the college. Develop a relationship with a development officer. Work closely with this development officer as you plan and execute gifts to the college. This relationship can be helpful as parents help their child prepare an application to the college. Never expect a “trade.” Parents cannot simply write a check and expect admission to a college. It does not work this way. Development in the admission process is about relationship building, nothing more and nothing less. Parents should use this opportunity to get to know the college better so that they can counsel their child on whether or not this college is the right fit. What one college may see as a significant donation, may not be at another. Donation can take place in terms of money, art, time or access to the right firm/organization/people. There are significant tax and legal issues when donating, a family needs a team of qualified individuals before moving forward. The University of Wisconsin at Green Bay has begun notifying applicants that they have been accepted through the messaging app Snapchat, WBAY reported. 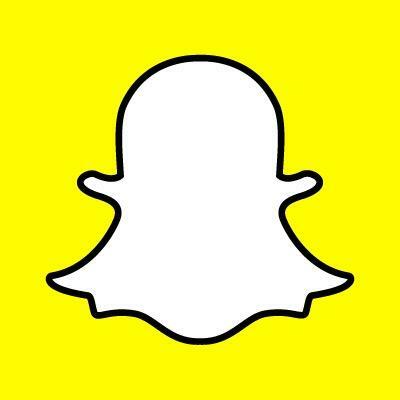 The university still sends traditional acceptance packets to students by mail, but admissions officers said using Snapchat means reaching students faster — and also lets them know when students have viewed the message.